Three Shaefer’s anglerfish (Sladenia shaefersi). A rare image of three of this species of fish in the same area. 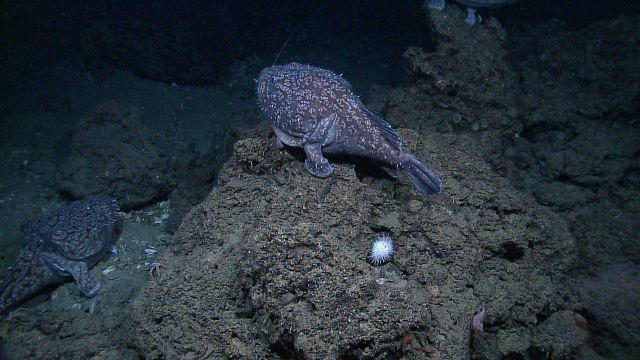 The fins resting on a rock pedestal of the third fish is seen in the upper right.